Ideal for elementary learners of English looking to improve or practise their English. The book is in comic book format and filled with useful vocabulary that is carefully graded and easy to understand, it also comes with audio, so that you can listen to the story at the same time as reading. 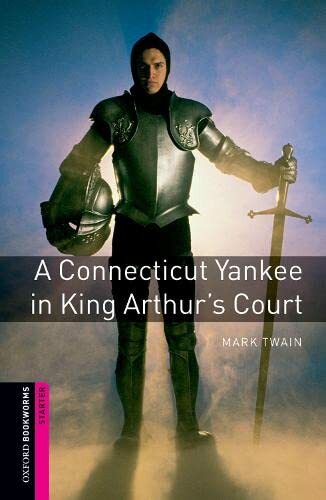 Hank Morgan is a happy young man in Connecticut, USA in 1879 until one day someone runs into his office and shouts, 'Come quickly, Boss! Two men are fighting.' After this, something very strange happens to him, and his life changes forever.